If you grind your teeth you should consider a night guard. 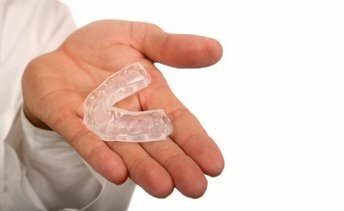 The night guard, which is very similar to a mouth guard worn by athletes, provides a barrier between your top and bottom teeth while you sleep. All night guards are custom fitted for comfort and to allow for proper breathing. Dr. Rowe will take an impression of your teeth and have the night guard created by a dental lab. Night guards are very durable and can be used for up to 10 years.